Once that happened, the pilots had just moments to disengage the system and avoid an unrecoverable nose dive of the Boeing 737 Max, according to two people involved in the testing in recent days. The automated system, known as MCAS, is a focus of investigators trying to determine what went wrong in the Lion Air disaster in October and the Ethiopian Airlines crash of the same Boeing model this month. There are common procedures in place to counteract MCAS, as currently designed. If the system starts pushing the plane’s nose down, pilots can reverse the movement via a switch at their left thumb, a typical reaction in that situation. In doing so, they can potentially extend the 40-second window, giving them more time to avoid a crash. To fully neutralize the system, pilots would need to flip two more switches. That would shut off the electricity to a motor that allows the system to push the plane toward the ground. If pilots don’t act hastily enough, attempts to disable the system can be too late. In the Lion Air crash, pilots used the left-thumb switch more than two dozen times to try to override the system. The system kept engaging nonetheless, most likely because of bad readings, until the plane crashed into the Java Sea, killing all 189 people on board. 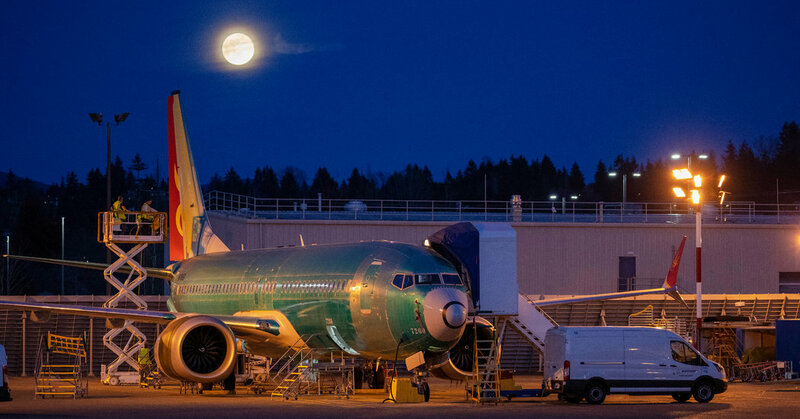 In conversations with pilots and airline officials over the weekend, Boeing executives didn’t directly address why MCAS was designed with such flaws, one person with direct knowledge of the meetings said. Instead, the company stayed focused on the software updated, the person said.